Yesterday we went to meet the newest member of our family. 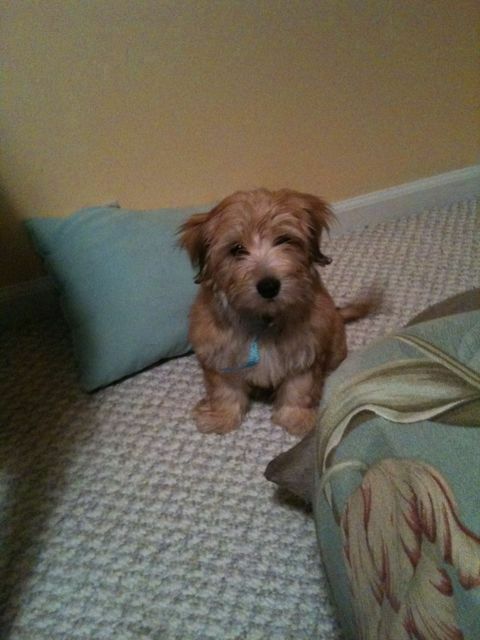 He’s small a furry and a mix of yorkie and havanese. After meeting him it was 100% yes. He’s docile, doesn’t seem to bark, and he’s sweet and gentle. He likes to chew though. This comes standard in puppies I hear. Most people get a dog before kids for practice. My decision was based on Elijah being potty trained and right about now I’m wishing fo another baby to love. That isn’t going to happen ever again, so that is how we came to a long planned decision to get a dog. Those reasons and that I’m two years cancer free and feel like I’ll be around to see the little pup grow up. I can commit to him. Charis has also been begging for months now. Here’s the most challenging part of having cute little cuddly friend. The two youngest are totally afraid of him. I’m not kidding you. It seems ridiculous, but it’s true. 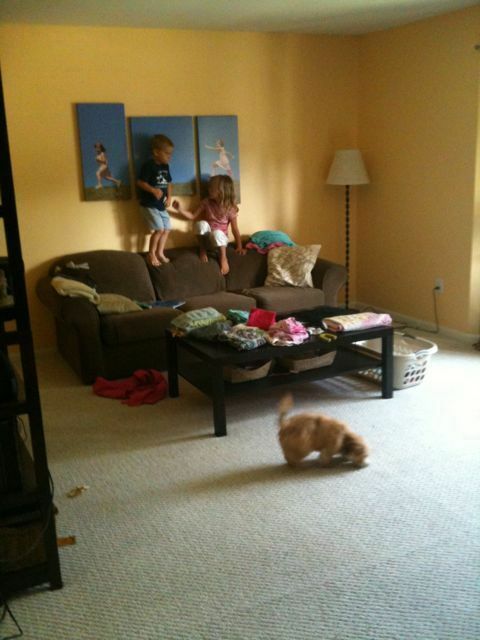 You can see them climbing up the couch in fear of the beast.